Front placket-found in the vast majority of dress shirts. Always a good option for business attire, but its ubiquity means it lacks individuality. No front placket-also called a French front, this placket has no visual stitching alongside the row of buttons, so it creates clean lines but can be trickier to iron. Covered placket-commonly called a fly front, the covered placket has an additional layer of fabric covering the buttons. It's sometimes found in tuxedo shirts and other very dressy clothing. Tuxedo front-looks similar to the French front but differs in that the top four buttons are removable, allowing you to replace the buttons with tuxedo studs. This placket is best used only with tuxedo shirts. 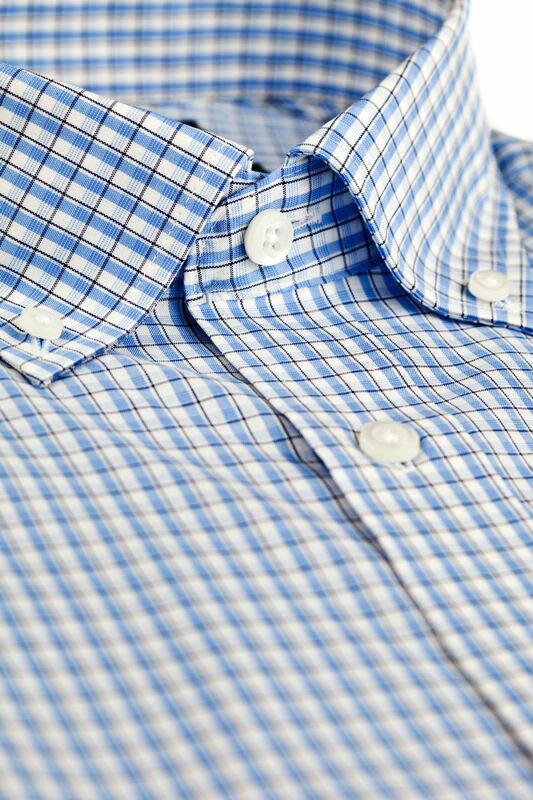 The next time you're creating dress shirts that will showcase your style, consider switching it up with a different placket for a fresh option in your signature style. Feeling creative? Call us now to schedule your private consultation about designing shirts that perfectly express your style and fitting requirements.